THE WORLD NEEDS MORE WELL-TRAINED EFT PRACTITIONERS! Have you trained in EFT but want to finally get CERTIFIED? Now you can! And at a huge discount! Become Fully Certified in as Little as 3 Months, or Take as Much Time as You Need at NO extra cost! Complete your FULL proven international certification at HUGE savings! Right from your own computer with live interaction and individual guidance from mentors and study buddies. If you’ve already completed the EFT-Candidate program and passed your test, you still have the opportunity to complete your mentoring and certification through our interactive, supportive online program. 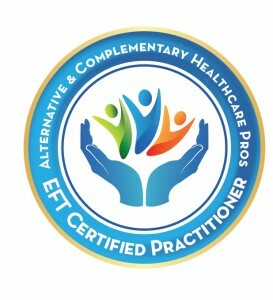 This is the second portion to EFT Certification. Completing this section will agive you full EFT Certification to work with clients. It will also give you access to guidance in finding your niche or catapulting you in a niche you already hope for. This is your opportunity to complete your skills to help others and confidently have a business helping others. Access to a private Facebook group for questions with trainers. By clicking the “Buy Now” button below, you will only be making the first payment (of 4) for $315. The remaining three payments once a month will be set up automatically for a total of $1,260.